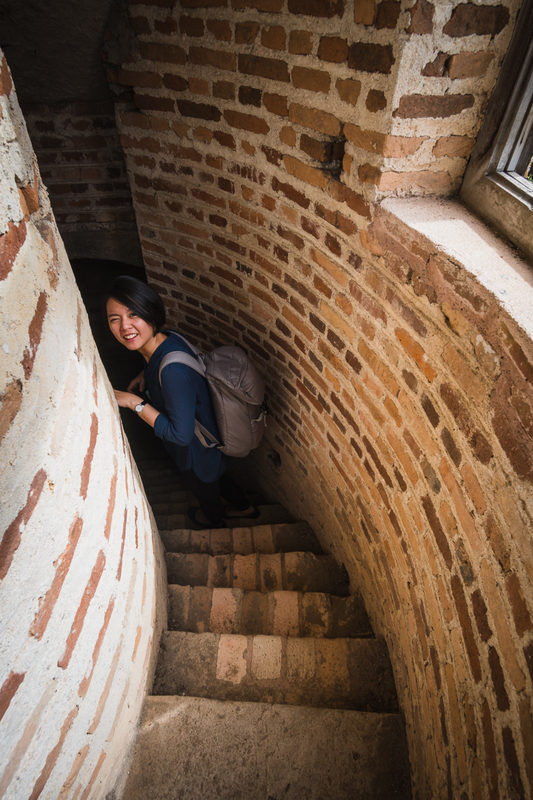 It’s not just about the number of places you can get when you’re traveling. 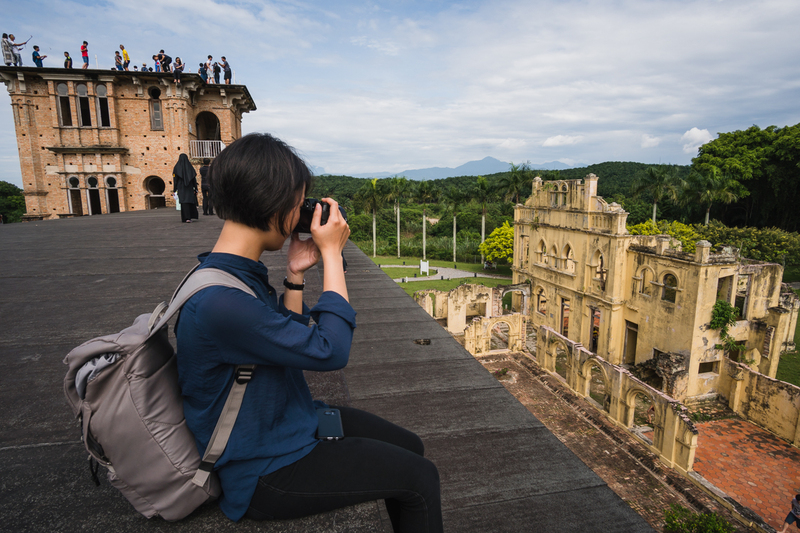 It’s more about the experience that’s worth mentioning, and that’s what Ipoh will give you. 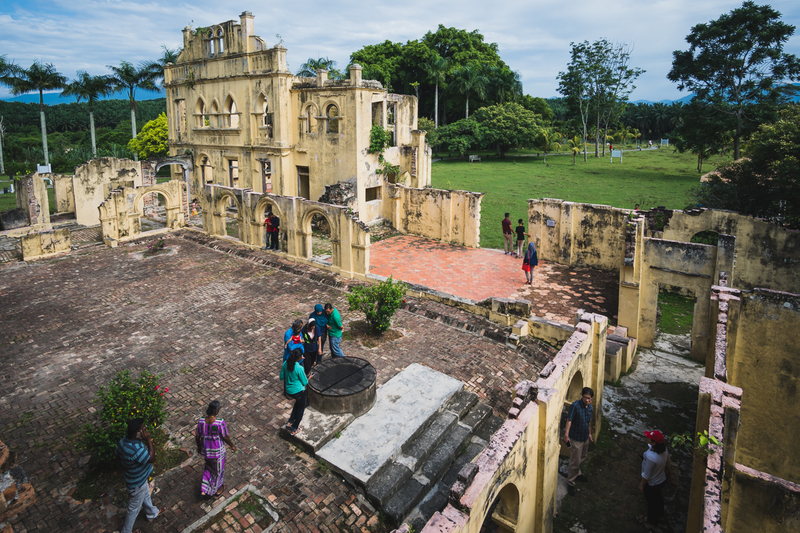 In the recent years, Ipoh has been getting more popularity as a travel destination in Malaysia. Not just because it’s charming look as an ‘Old Town’ but also for its culture’s richness. Plus, what they brought to the world, the famous ‘Ipoh White Coffee’. We always try to compile some of the best attractions, things to do, or places to visit wherever we travel somewhere. 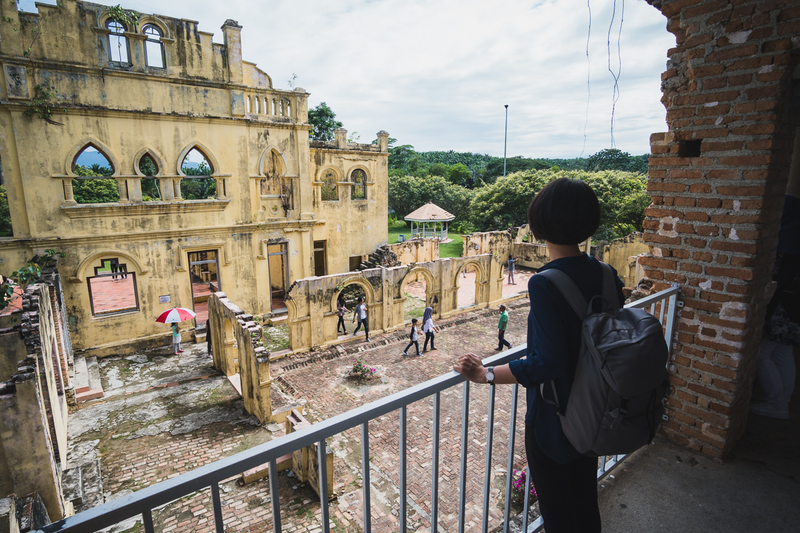 As we’re currently doing our Ipoh series, here’s our top 8 attractions to do in Ipoh, ranked with numbers. 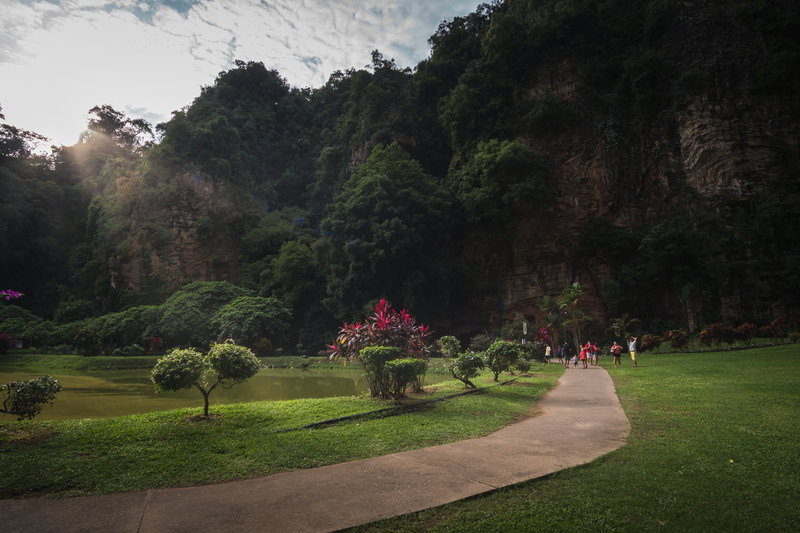 I did mention in our journal part 3, this is hands down the best view cave temple we visited. Why not give it this number one position? Once you visited here, you’ll see why. 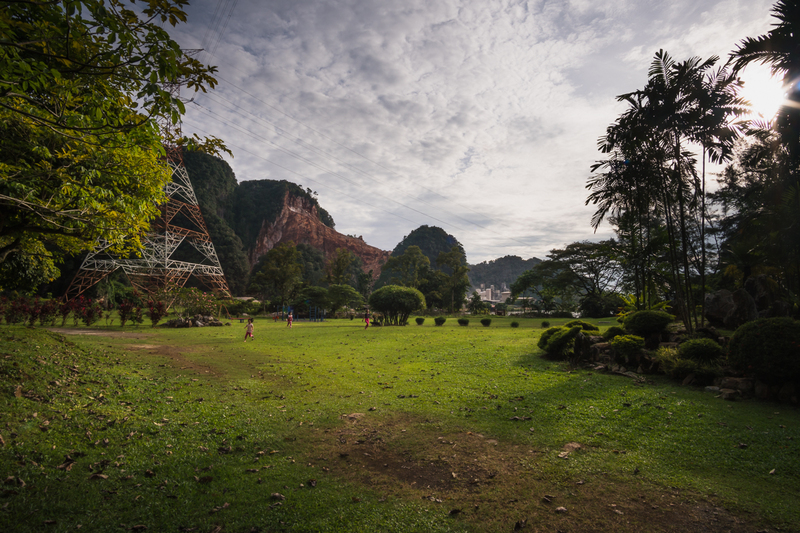 Located in the area of Gunung Rapat, south of Ipoh. 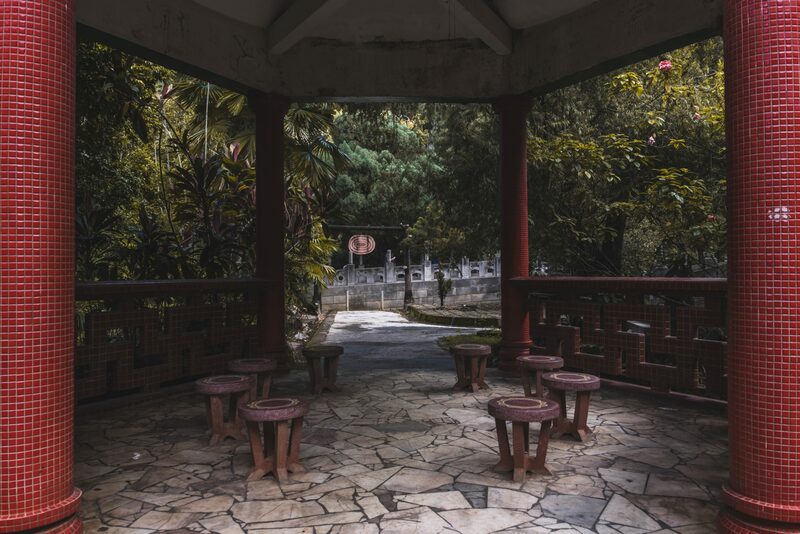 This temple used as a place of worship as early as 1920 and became a part of iron mining in 1960. What’s so great about this place is not just it looks so magnificent when you enter the cave. You can also feel the breeze coming from inside the cave, such a huge cave. It’s really chill, for real. But wait until you walk further inside and see the best part of this place. 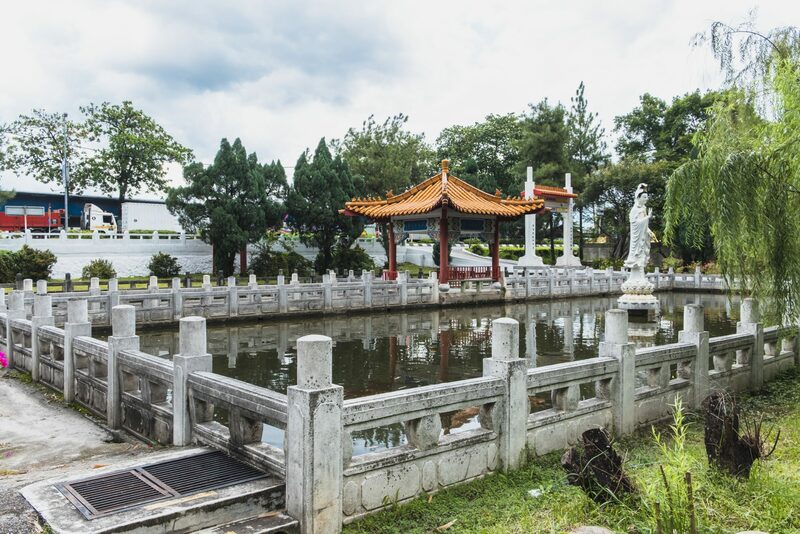 The reason why this temple got its popularity amongst local and foreign tourists, the award winning Zen Landscape Garden. 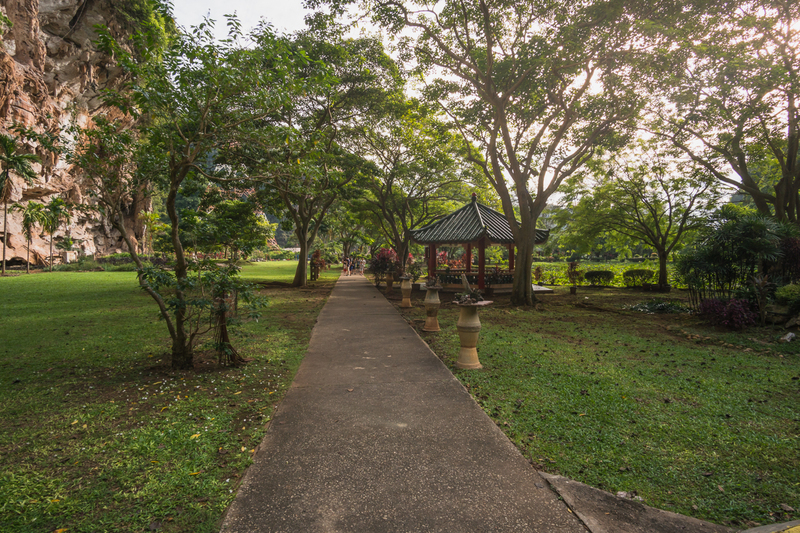 They have a jogging path and one of the longest reflexology path in Ipoh. 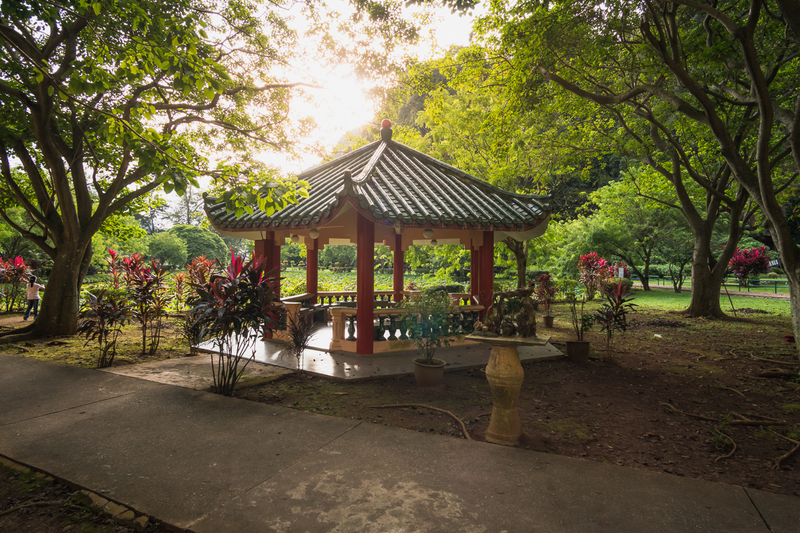 Spark your wanderlust in this place, enjoy your chill afternoon. Best time to visit, according to our experience, 3 a.m. till closing. 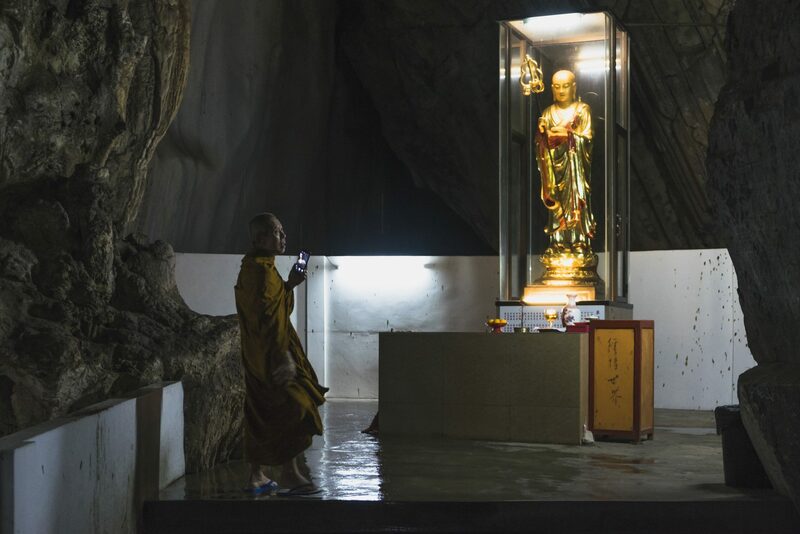 Another beautiful cave temple that will spark your wanderlust. Such temple with a view that might get you more likes on Instagram. 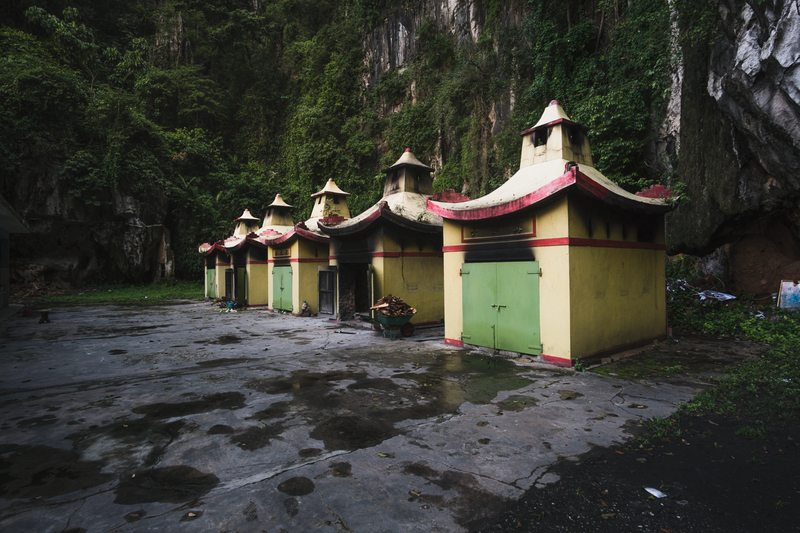 Located not so far from the Kek Look Tong, this temple came with a different welcome and surprise style. If Kek Look Tong kept its garden inside, Sam Poh Tong have it up front as a welcome view. 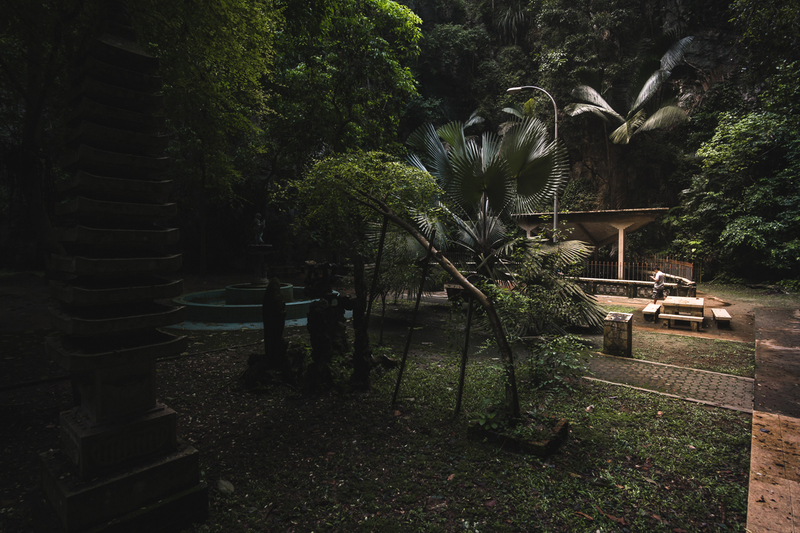 Another beautiful zen garden, once also embraced the title as “The Best Landscaped Garden” in Malaysia back in 1993. But that’s not all. This temple kept another ‘gem’ inside. I personally really love the garden inside after you go through the temple. It’s not as big as Kek Look Tong, but it surely beautiful and really really peaceful. Especially since we went here early in the morning. We’re one of the first visitor that day. With barely any other people, I can stay here for hours if not for the ‘hotel check-out’ time later. 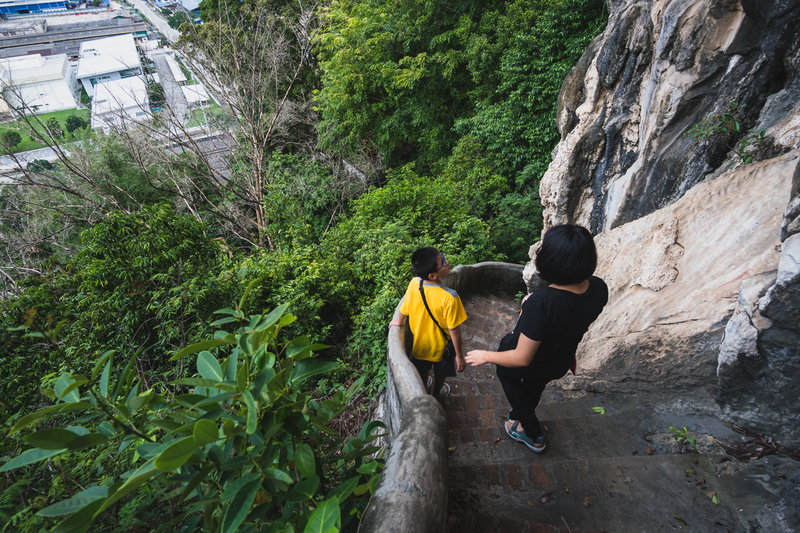 You can explore the upper part of the temple by going 246 steps staircases which lead you to an opening with a beautiful view of Ipoh. However, when we’re there, the access seemed closed for some maintenance, I guess? The backside of the center pavilion, you can see their cremation facility. It can be pretty spooky if you’re alone. But if you’re an adventurous person, might as well check it out. 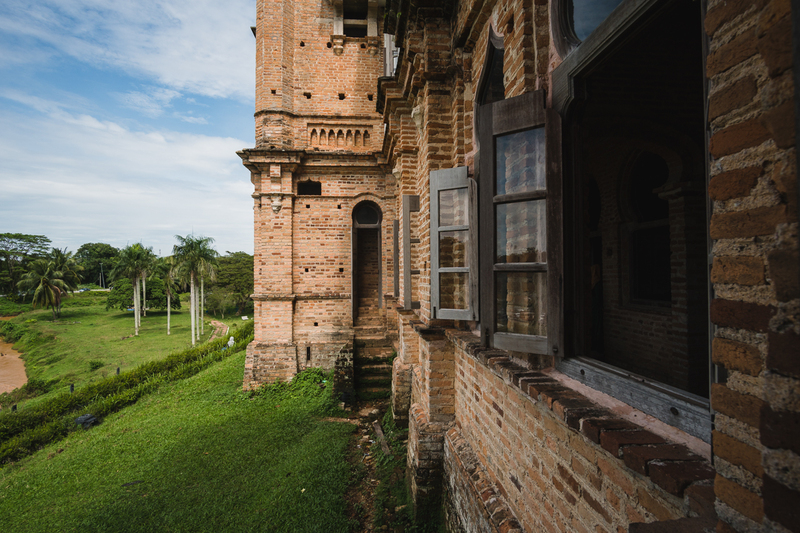 Kellie’s Castle was built by a Scottish man, William Kellie Smith. Who by the age of 20 came to Malaya to work as a Civil Engineer. 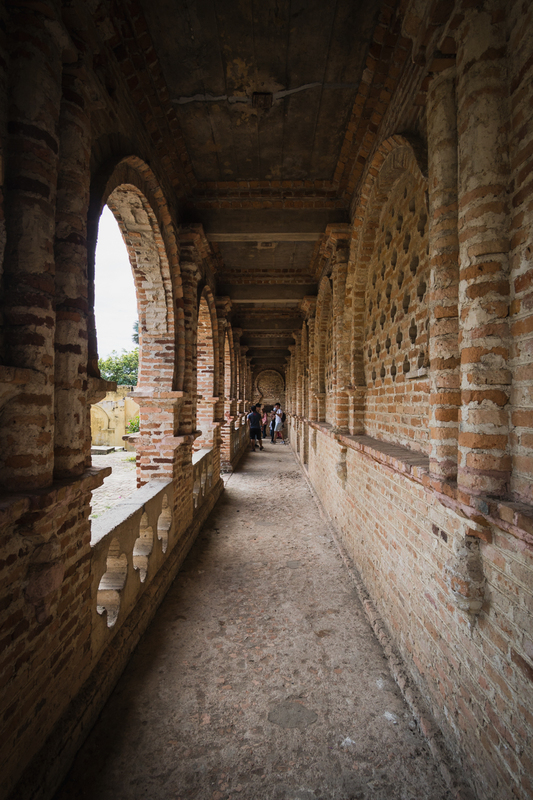 He then became a successful man and decided to build a huge castle with Scottish, Moorish, and Tamilvanan architecture. According to the story, Smith wants to build such a house dedicated to his family. Married to a wife named Agnes, granted a daughter named Helen and a son named Anthony. William’s spirit has been seen pacing at night in the 2nd-floor corridor. Helen wearing a white blouse and curly hair haunts her old bedroom. Phantom smells of incense and spirits have been reported in the horse stables. 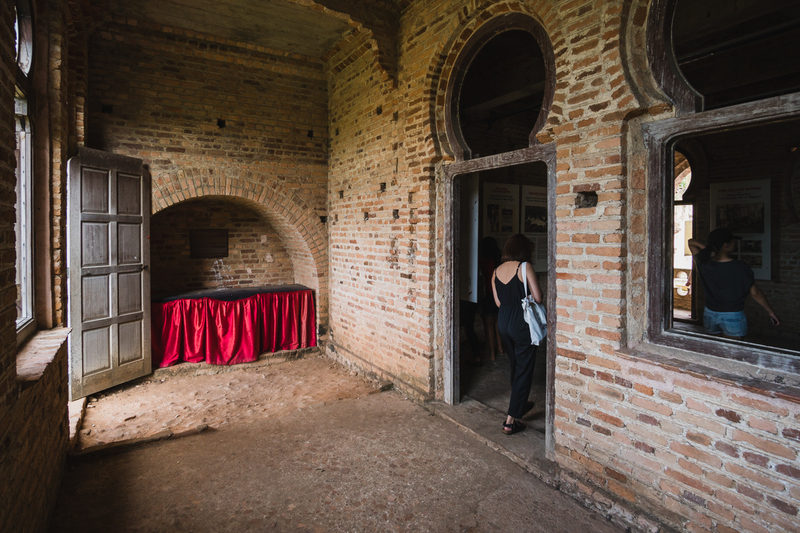 Adding to its mystery, some believe the mansion possesses hidden rooms and secret underground tunnels. Access to the rooftop really narrow, mind your step. 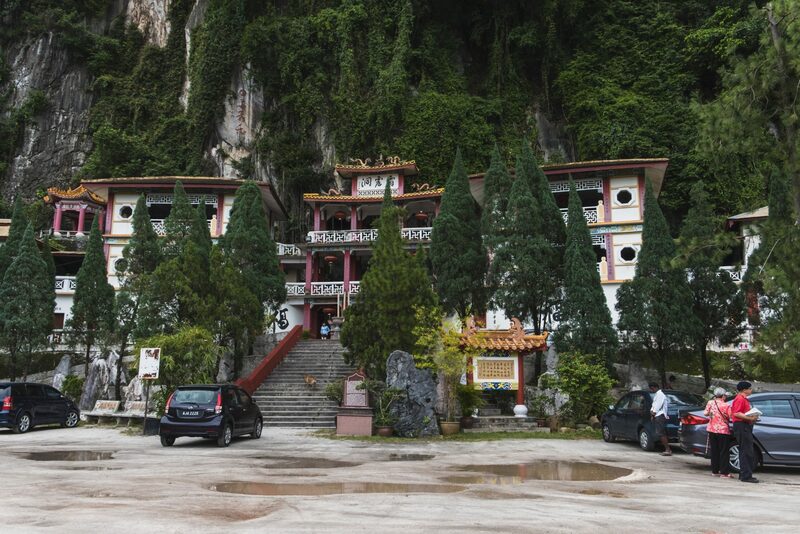 Another beautiful cave temple to visit in Ipoh. 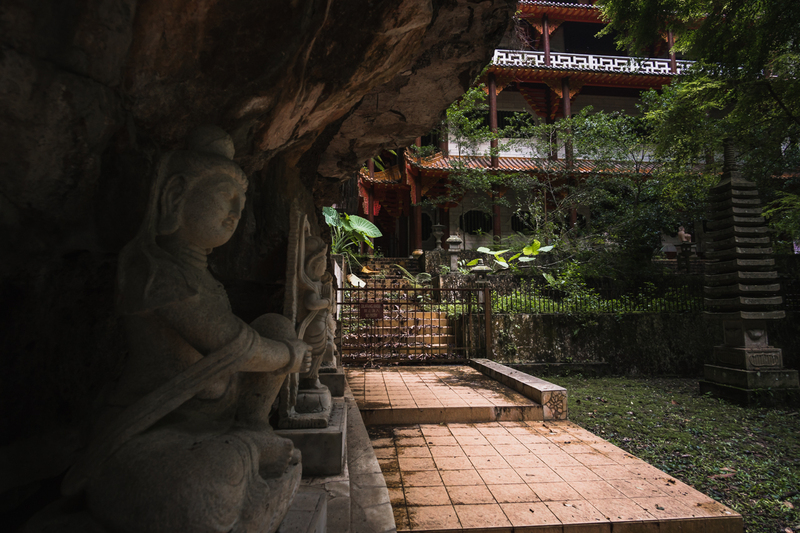 Perak Cave (also known as Perak Tong) is one of the most famous and most visited temples in Ipoh. 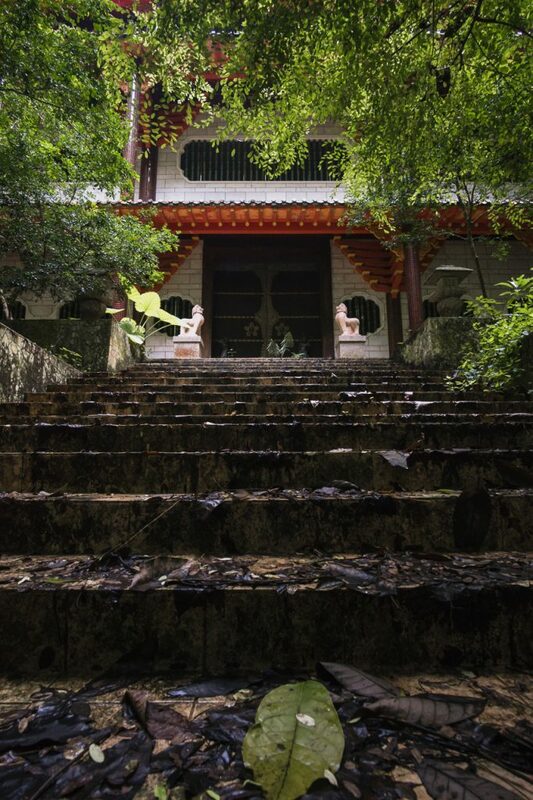 As you can see in part 2 of our travel journal, this temple is all about adventure. If you have the stamina, go for it. 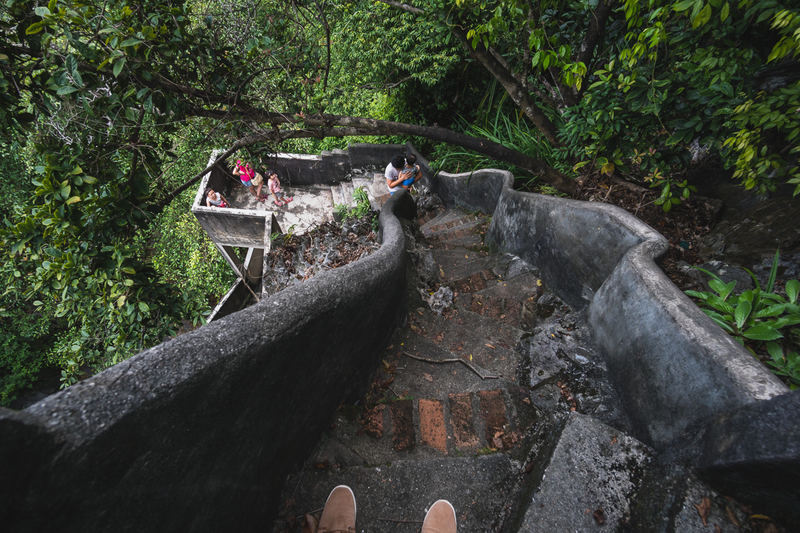 There is 450 steps staircase with extreme steepness at some places to test your lower body strength. We had to stop for a rest sometimes because we’re not that strong obviously. In 1926 Chong Sen Yee and his wife Choong Chan Yoke who came from Jiao-Ling province of China discovered Perak Tong. 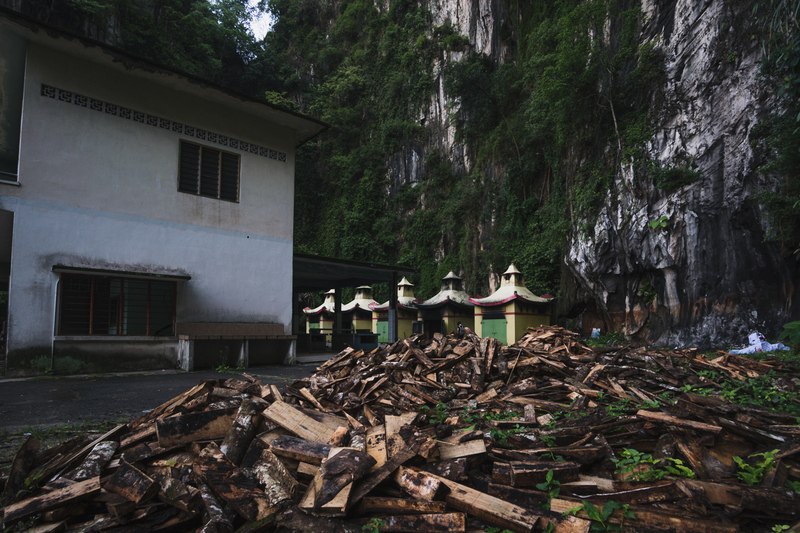 On approval from the Perak State Government, they started to develop the cave temple. 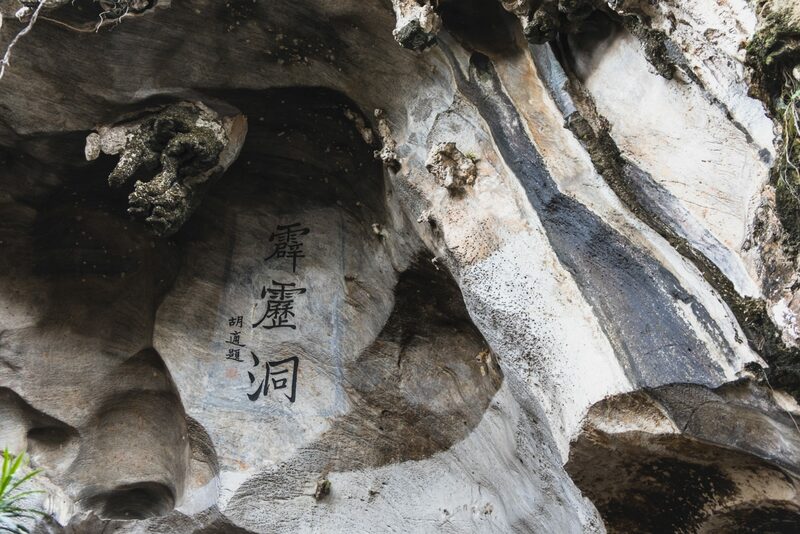 As Chong Sen Yee was mainly involved in the planning and development of the cave temple his wife went all out to look for donations to carry out the plan, locally and internationally. 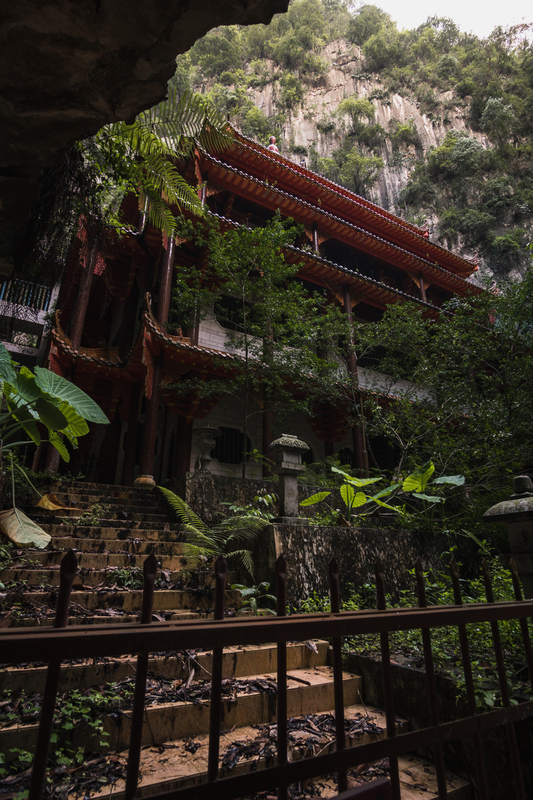 After more than 50 years of diligent and careful work in and around the cave temple, Perak Tong has become one of the best cave temples in Malaysia. Chong Sen Yee passed away in 1980 and his wife Choong Chan Yoke in 1983, handing the heritage to the son Chong Yin Chat. 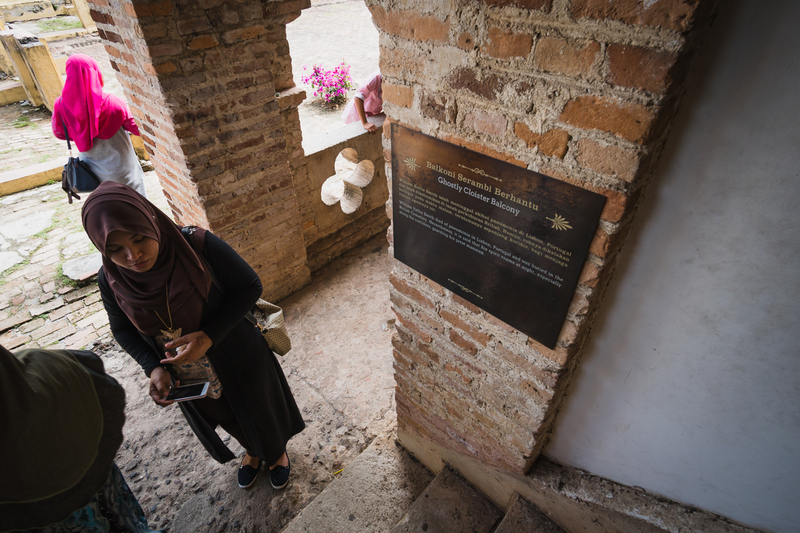 He put even greater effort into the temple and thus enhanced Perak Tong into an international tourist spot in Perak. Do spare some time to best enjoy the experience of this place. The best part? Of course, the semi-hike. But the view once you got up there was worth all the aching knees and thighs. Open: 9 a.m. – 6 p.m.
Are you backpacker or globetrotter on a budget? Worry not, Container Hotel is what you’re looking for. For your Instagram need, check out that M Boutique Hotel we mentioned above. Legit! One of the best location for your hotel, stay at Le Metrotel Hotel. Definitely, try Sekeping Kong Heng! It’s the ultimate one! Or if you’re looking for another stay in Ipoh at a discounted price. Claim your $26 for free when you book with Airbnb. 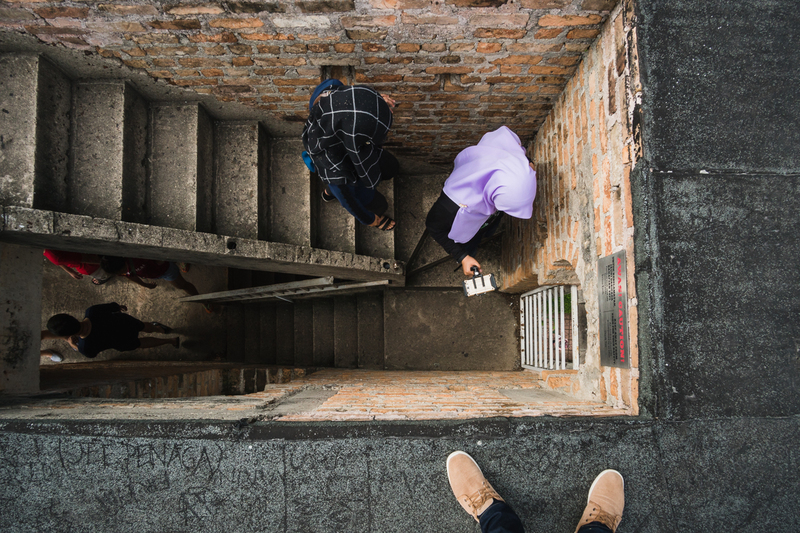 Just like the one I wrote in Penang series, the Penang Street Art Hunt post. This time, the Lithuanian artist Ernest Zacharevic also did it in Ipoh. He painted 8 murals across the old town of Ipoh. I will make another post dedicated to sharing the pictures and locations of The Art of Old Town; along with some other murals that we found when we’re strolling around the city. It’s quite a fun thing to do in our travel time since we’re also like to spend time hunting photos on the street. It makes a great experience, like carrying a mission to accomplish, you know. 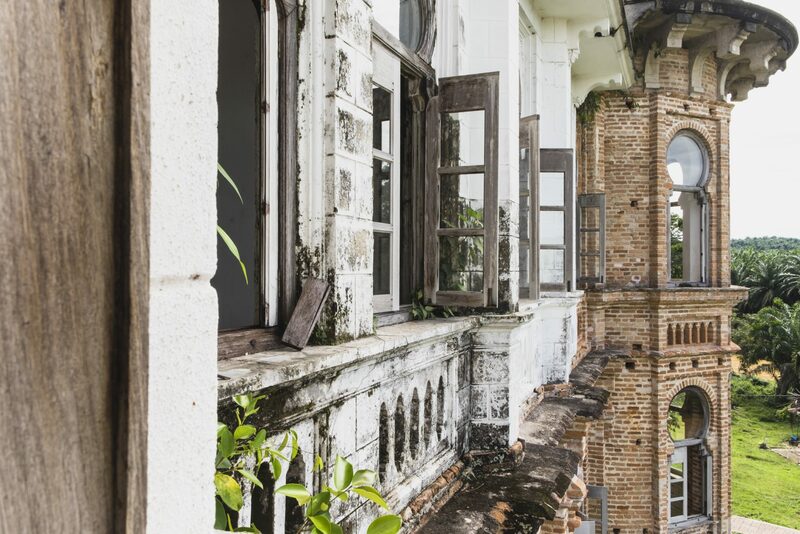 There are 30 buildings that listed as Ipoh Heritage Trail. 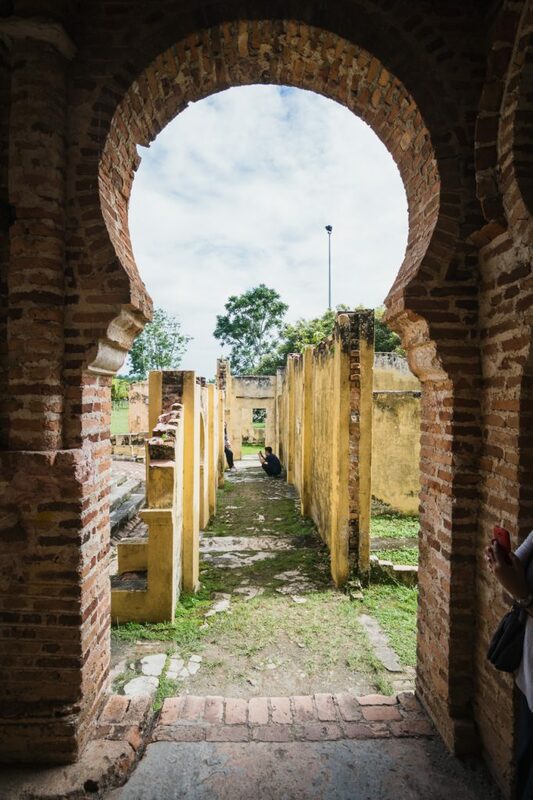 You probably have seen a lot of this kind of images that has “Jejak Warisan Ipoh” (Ipoh Heritage Trail) in a circle logo. It could be, though, to set people to walk on their foot and get some exercise. They painted a footstep along the street so that you can track it down by foot. 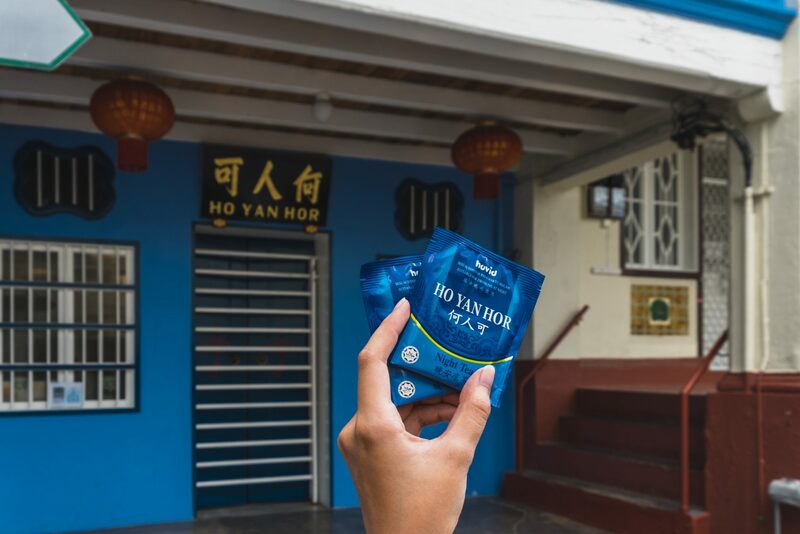 Explore Ipoh on foot, there you go. 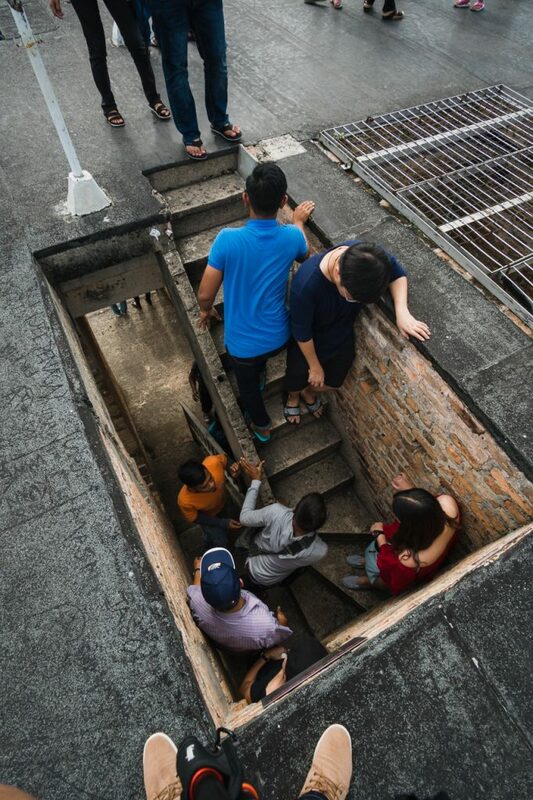 Hence the name sometimes called Ipoh Heritage Walk. We didn’t ‘hunt’ all the 30 heritages as it is time-consuming. We’re just ‘doing it as we go’, not really like dedicate our time to see it all. Therefore we only got 9 out of 30. If you have the time, I would suggest you try this, as it is the best way to know more about Ipoh and its local life. 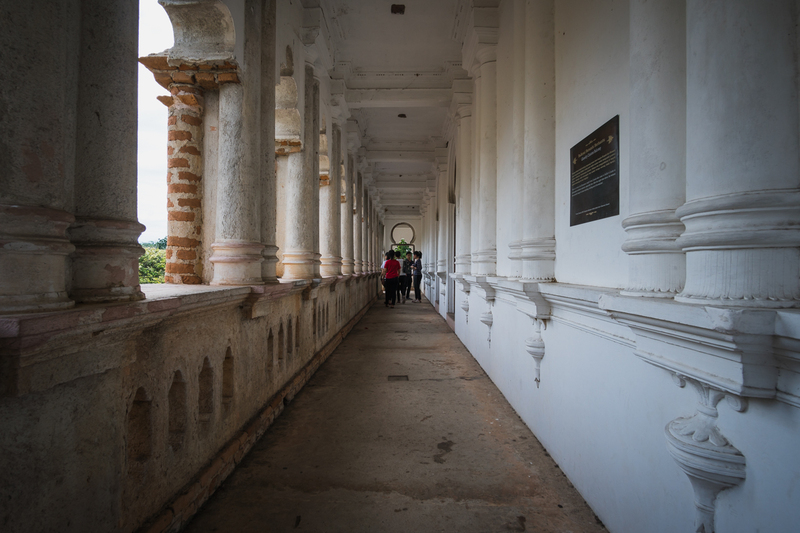 I took a map for the Ipoh Heritage Trail to help you with. Download the PDF file here. 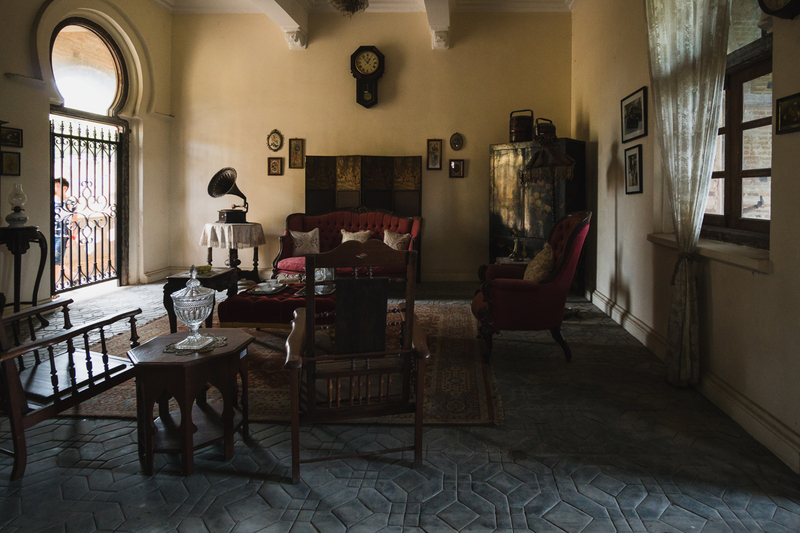 The house contains everything about the story of The Hakka Tin Miners Club. 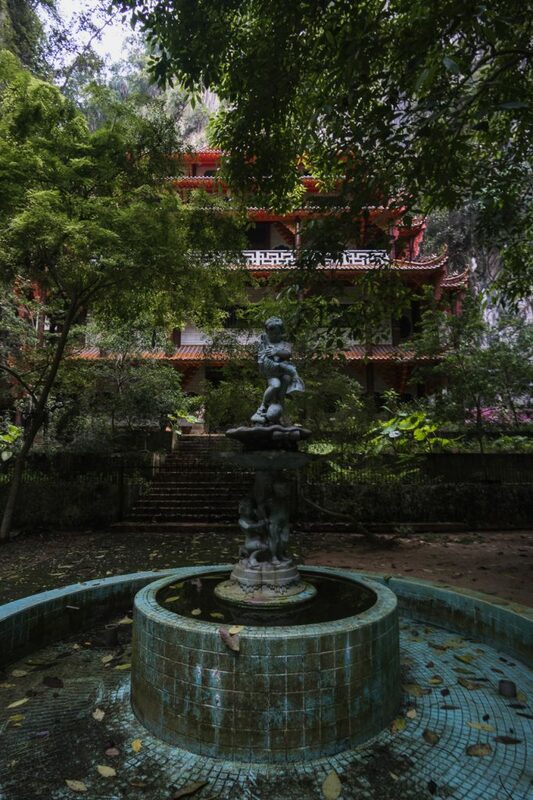 Originally built in 1893 founded by a Chinese man named Leong Fee. This house was some sort of exclusive VIP members only for Hakka tin miners. 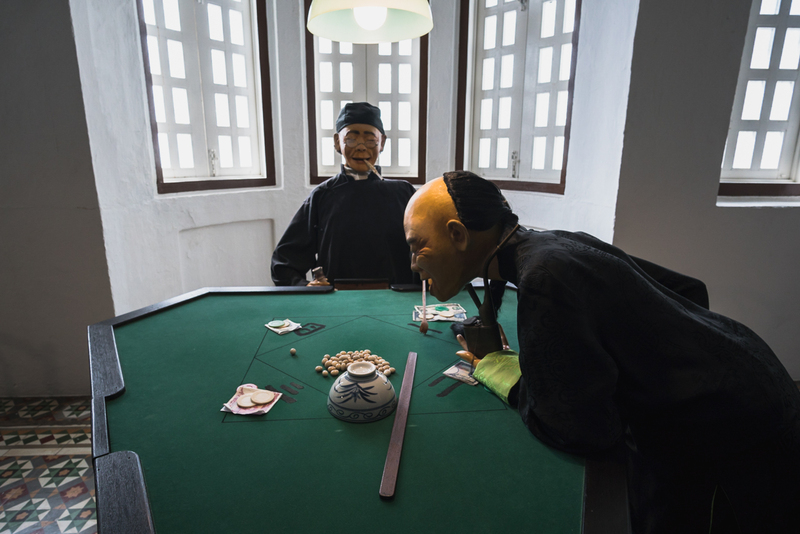 They can have lodging, meals, even play mahjong here. 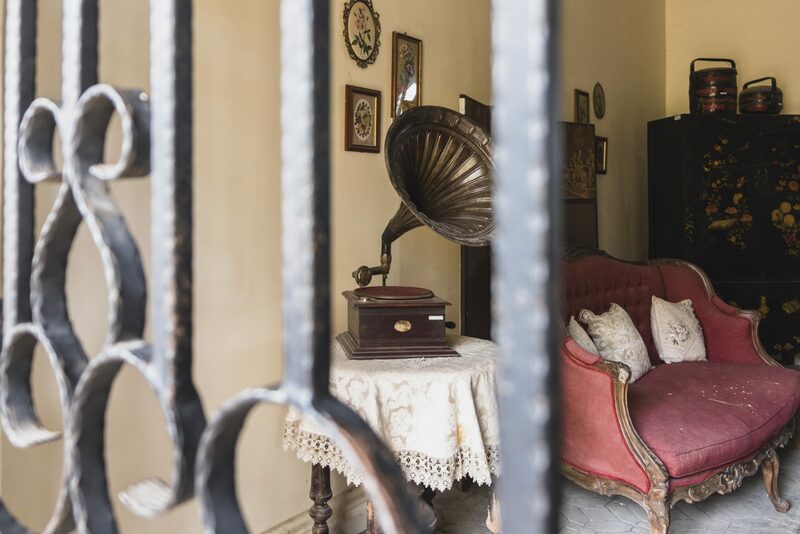 On the private tour around the house, you’ll be guided to see stories from the Hakka tin miners and the way they worked and lived back then. I found it ok, but not as hype as “The Best” attraction in Ipoh. Note that you’re gonna have to make a reservation first and receive a confirmation email to be shown on site with prints or on your phone. The email specifies your booked numbers in the group and passcode. For more details, you can visit this site to book. 1st : 09.30 a.m. – 11.00 a.m.
2nd : 11.30 a.m. – 01.00 p.m.
3rd : 02.00 p.m. – 03.30 p.m.
4th : 03.30 p.m. – 05.30 p.m. 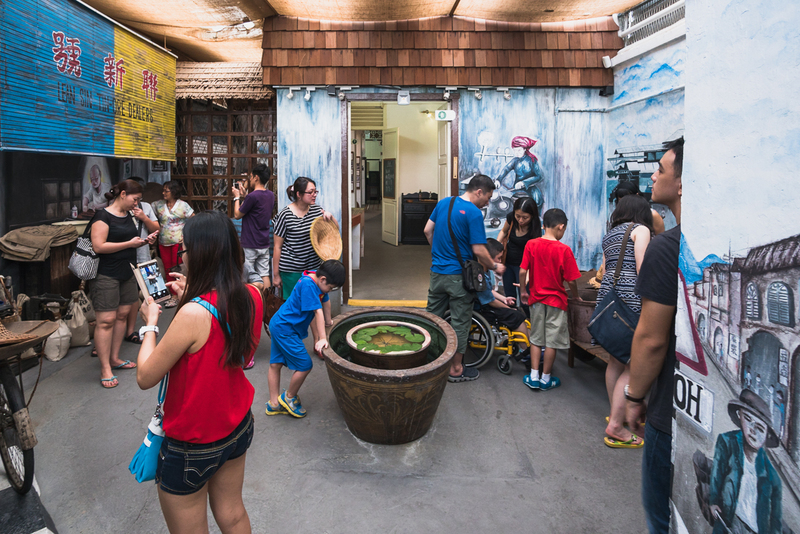 This ‘blue’ museum just right next to the Han Chin Pet Soo. 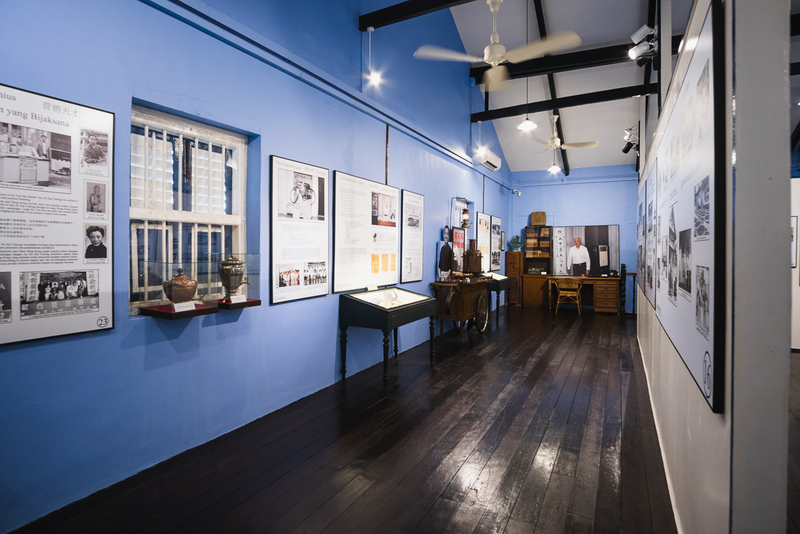 It’s basically a museum which tells the story of Ho Kai Cheong, an entrepreneur that started this whole tea business from scratch. This man was kind of a legend, he got so many talents inside him. You should read about him here in the museum. What an inspiring man. It’s a very popular herbal tea product, though. You can find it at stores in Malaysia. Once they gave you their intro, they’ll let you explore the exhibition inside. 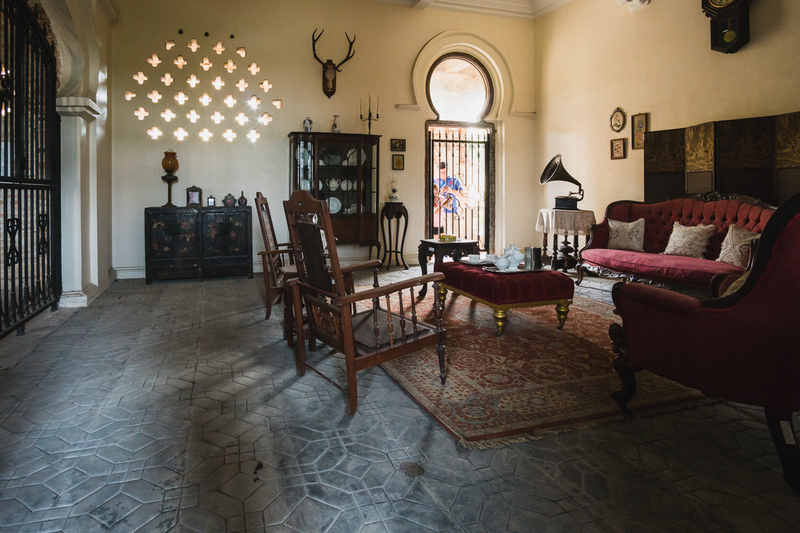 Just listen to their warning, this place is basically an old house restored as a museum. Careful with things and the wooden floors upstairs. The exhibition held on both the first and second floor. When you’re done, you’ll end up going down the stairs right to the lobby where the entrance is. 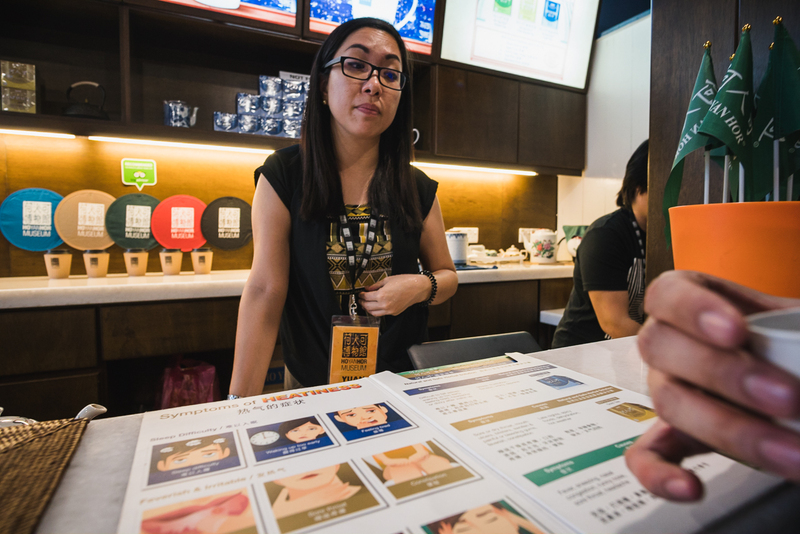 Then, you’ll be given a free sample of their herbal tea. They sell it based on color just to remember it easier. You can buy the gift set for RM 100, we bought one set and it tasted really good. 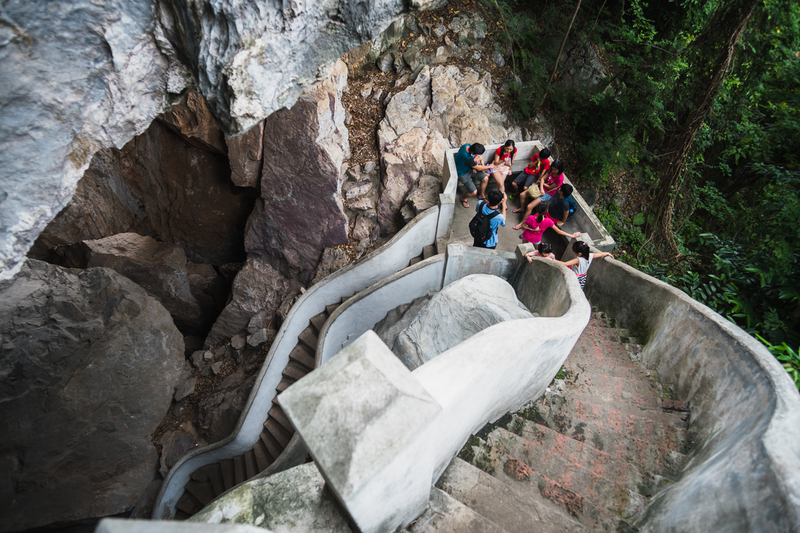 Open: 10 a.m. – 4 p.m.
That’s all we would compile as the top 8 attractions to do in Ipoh. 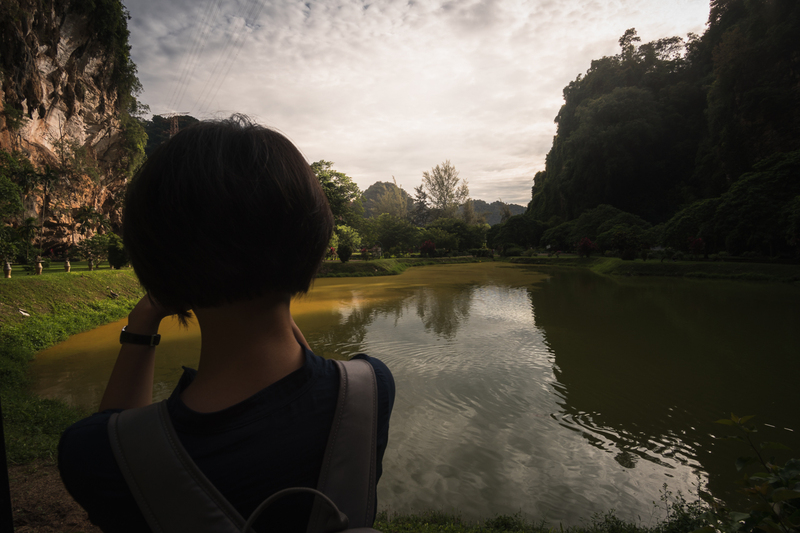 Of course, there are more great places to visit when you’re in Ipoh, we just didn’t have enough time to do this extra three places. Consider this a bonus. 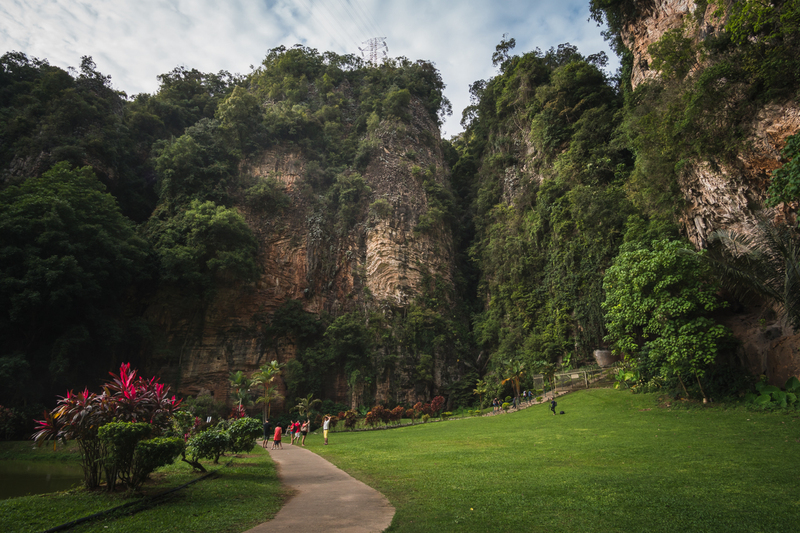 Located in Gopeng, one of the longest caves in Peninsular Malaysia. For you cave enthusiasts, this is where you want to go. C’mon there, satisfy your craving for adventure. 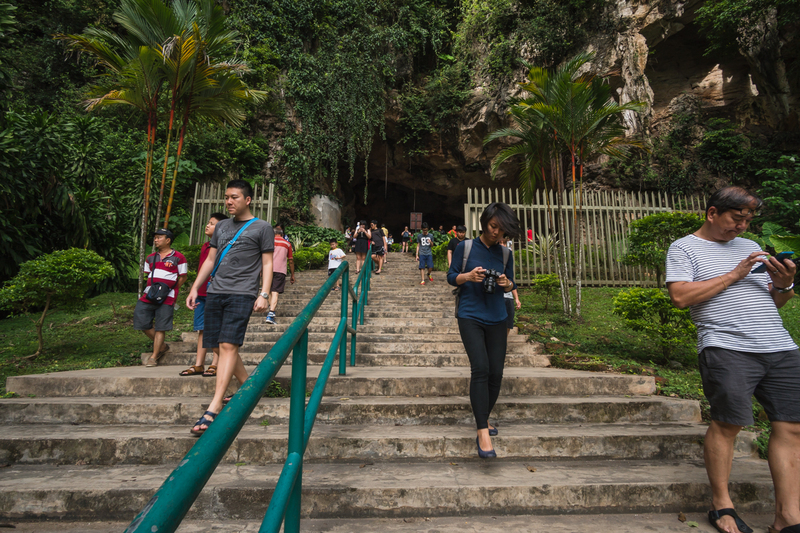 The tunnel of the cave runs from the east to the west covering a distance of about 2km under the limestone hills known as Gunung Tempurung and Gunung Gajah. It is made up of 5 large domes and is believed to have existed since 8,000 B.C., about 10,000 years ago. 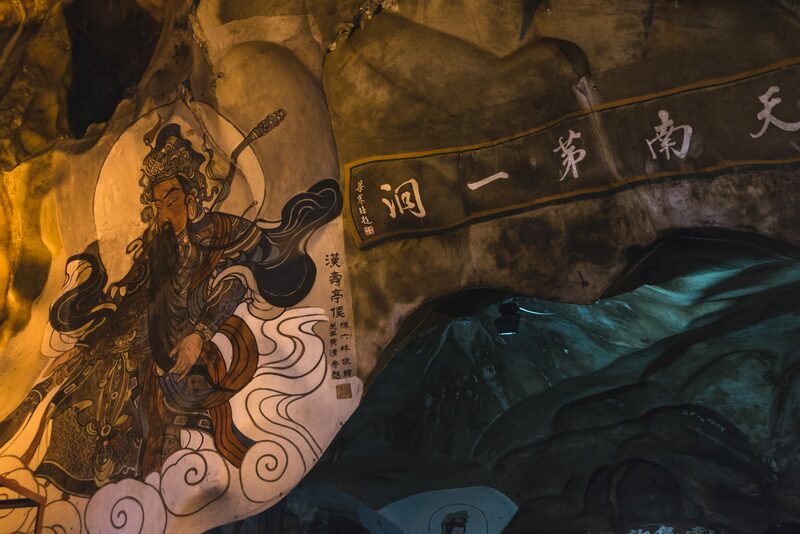 You can see more information about this attraction and some tips about exploring the cave on this site. Note that this is quite far from Ipoh city, it takes up to 1 hour from the city. Open: 9 a.m. – 4.30 p.m. Since opened in 2000, this park has become a very popular recreational place for families with children. Covering an area of 30.35 hectares out of which 14.16 hectares consist of the lake, the park is divided into two sections. A beautiful background as a view you can see the limestone hills of Mount Lang and Mount Bilike. 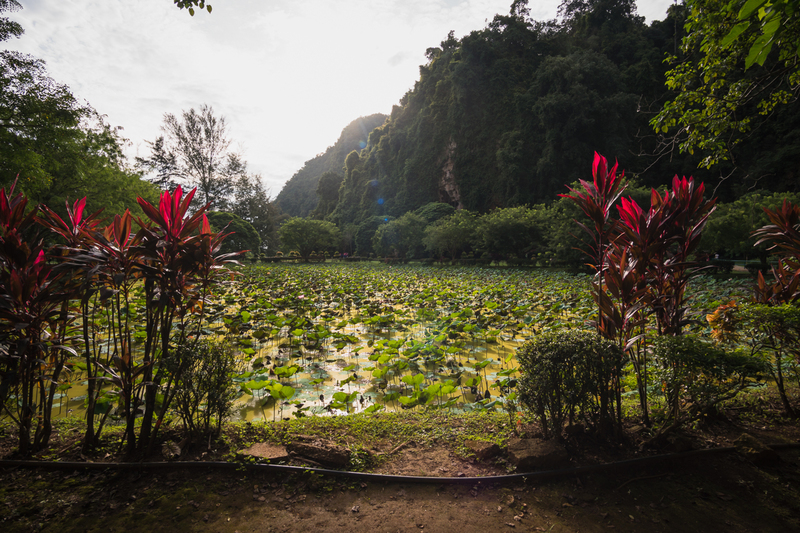 The main attractions of Taman Rekreasi Gunung Lang are the man-made waterfall on a limestone hill and a 2 km broad walk over the swamp and lookout towers. 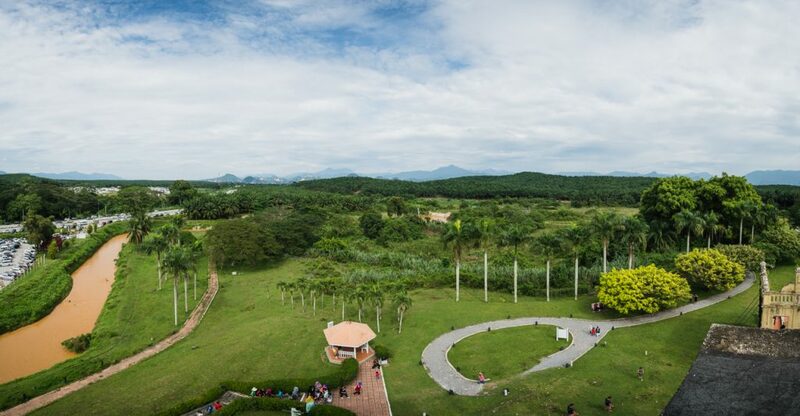 There are also facilities like a children’s playground, campsite, and mini zoo. Open: Monday to Thursday – 8 a.m. – 12 noon / 1.30 p.m. – 7 p.m.
Friday – 8 a.m. – 12 noon / 2.45 p.m. – 4 p.m.
Saturday, Sunday, Public Holiday – 8 a.m. – 6.30 p.m. If you’re looking for an all-in, one-stop, family escape; this is the place you want to be. The first water theme park open in Ipoh. This is the solution for families who wants a leisure. Adults can go relaxing at the natural hot spring facility, kids can go play at the theme park. It’s a win-win. 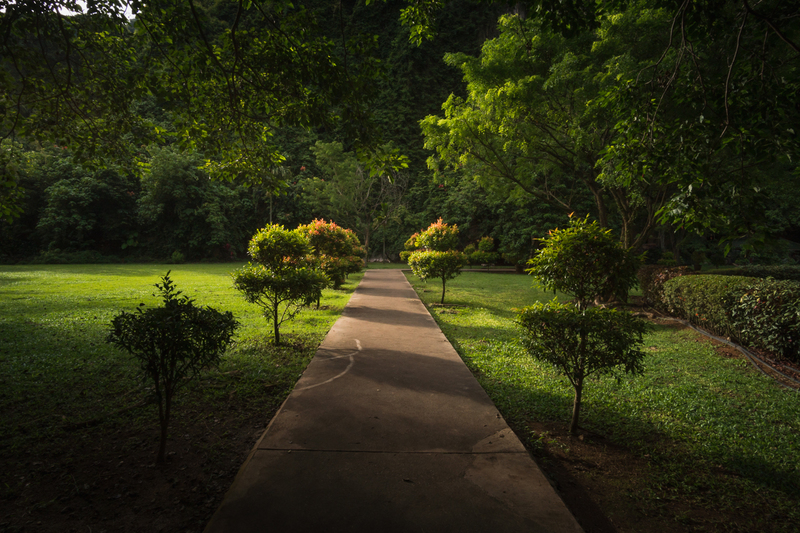 The park is landscaped with tropical plants to make you feel like being in a Lost World. 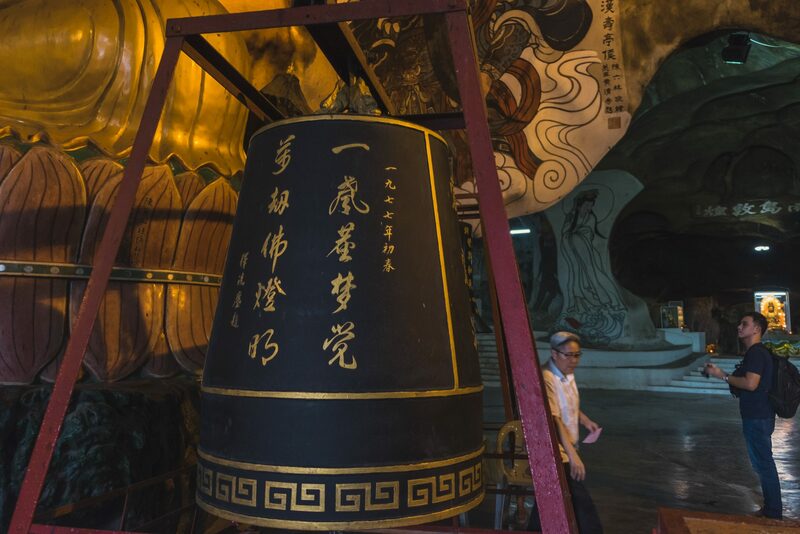 It is opened since Nov 2004 and has become a very popular attraction amongst locals. And that, my friend, is everything about attractions we could share from Ipoh. 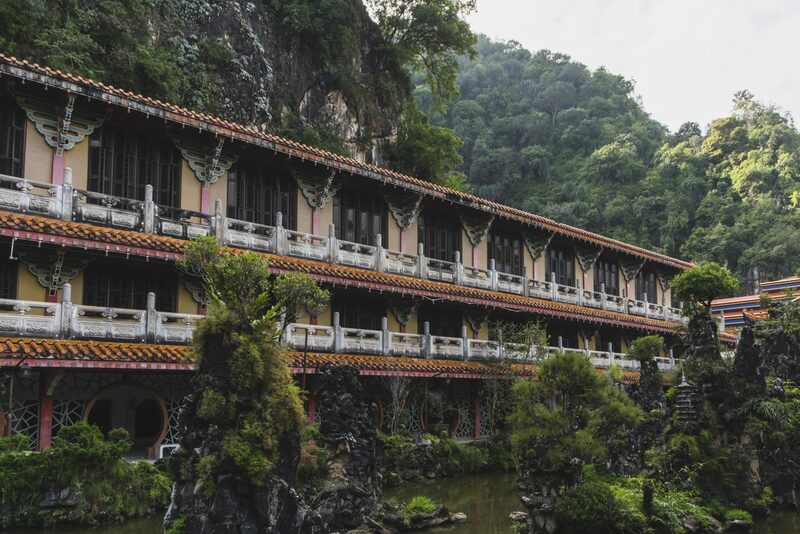 Some people might prefer different attractions, but this is what you should try to visit when traveling to Ipoh. Of course, we had more places on our trip, but this post meant for the best only. Those that we felt worth sharing. 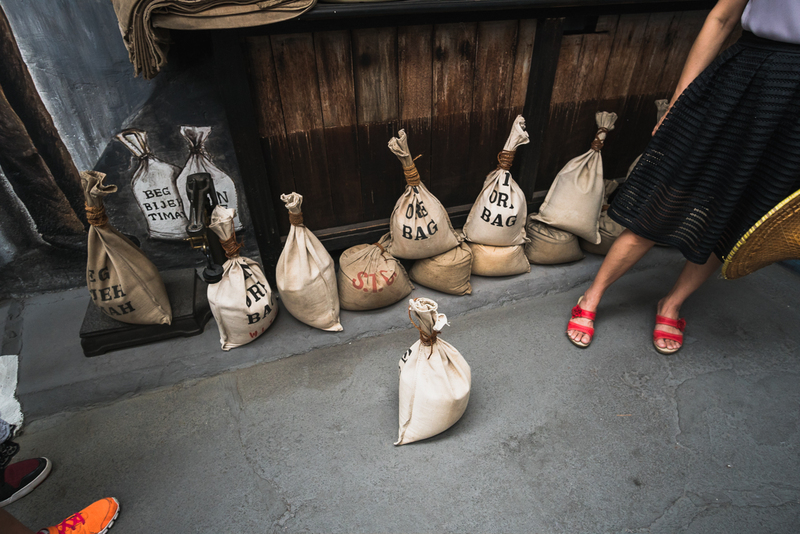 Be sure to check our other posts from Ipoh; Part 1, Part 2, Part 3, and Ipoh Culinary Journal. We shared mostly everything there. Meanwhile, expect some more posts to come from this Ipoh series. I still have some content to share with you guys. Don’t forget to subscribe to our newsletter. Until next post! Bye! Thanks for reading! Check these links below if you want to get some deals on your next trips, as well as we will get something in return to keep us on track. 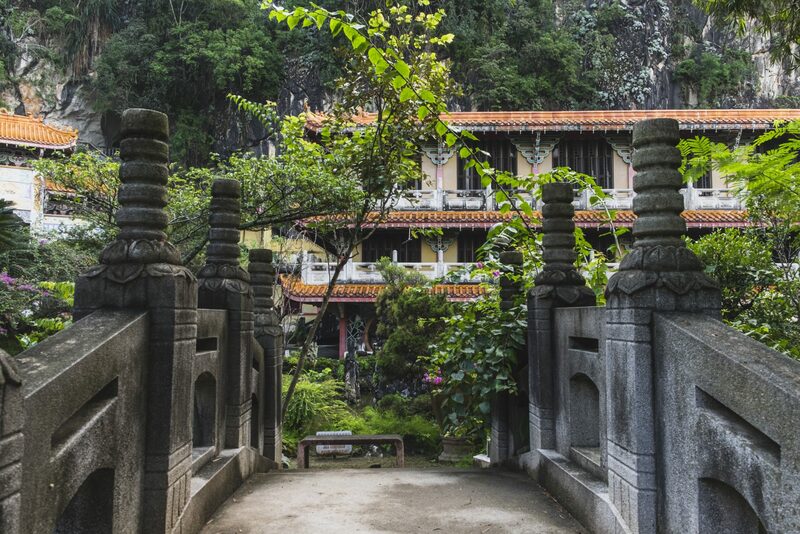 Book your next flight to Ipoh or Kuala Lumpur! For you guys Indonesian, book your flight here with promo price. Book your airport transfer car pick up $23 only. Or use KLIA Express for faster transport. If you plan to go by bus to Ipoh, check out busonlineticket.com or easybook. They both are recommended bus and train booking site for Malaysia, Singapore, Indonesia, and Thailand. If you also want some nature experience, try Cameron Highland. Stunning view with waterfalls and fruit farms. This is the map showing all the places we’ve been as well as those we canceled to visit due to our traveling time. Hope it’s useful.